UC Agriculture and Natural Resources and the Nutrition Policy Institute are pleased to announce March 5 - 9, 2018, as California's inaugural Food Waste Prevention Week. During this week, a range of partners statewide, including the Governor, the Secretary of Agriculture, the State Superintendent of Public Instruction, as well as many other agency leaders in public health, natural resources management, nutrition, and other sectors, are coming together in an unprecedented collaboration to raise awareness about the impacts of food waste in our homes, workplaces and communities. This collaboration grew out of a meeting held in February 2017 in which the Public Health Alliance of Southern California and the UC ANR Nutrition Policy Institute jointly convened state agencies delivering nutrition education programming to discuss the impacts of food waste and strategize solutions the agencies could advance together. The planning group identified an opportunity to generate and issue shared messaging during National Nutrition Month, a goal that has evolved into California's inaugural Food Waste Prevention Week, a coordinated multi-sector effort to raise awareness about the economic, environmental and social impacts of food waste in California. Food waste is a significant issue. 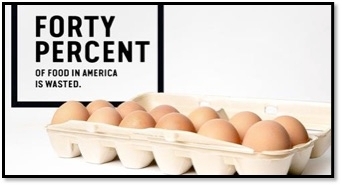 The United States is losing up to 40% of its food from farm to fork to landfill. That translates to $218 billion lost, including costs of food to consumers and retailers, as well as costs of wasted water, energy, fertilizer, cropland, production, storage and transportation. CalRecycle estimates that Californians throw away almost 12 billion pounds of food each year – 18% of all landfill use in this state. The food in landfills decomposes and releases methane, a powerful greenhouse gas linked to climate change. In addition, that food loss could have fed people, not landfills, if only it had been used, instead of tossed. In California, nearly 5 million people are food insecure, lacking consistent access to enough food. Roughly 1 in 8 Californians are experiencing hunger, and 1 in 5 of those are children. Reducing food waste requires action by partners throughout the food system. During Food Waste Prevention Week, stay tuned to the Nutrition Policy Institute Twitter page and the UC ANR Twitter and Facebook pages for food waste prevention resources, tips and ideas. You can also share food waste prevention ideas by participating in the Food Waste Reduction Hero Photo Challenge. Simply take a few photos that show how food waste happens in your home, workplace or community and what actions/changes you're making to reduce food waste. Share your submissions via social media platforms using the hashtag #SaveTheFoodCA and tag @SaveTheFood on Twitter and/or Instagram, or email your submissions to SaveTheFoodCA@gmail.com. Please include your location. 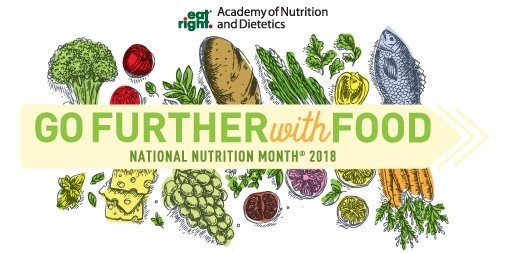 For more about Food Waste Prevention Week, read Rose Hayden-Smith's UC Food Observer article, see the Nutrition Policy Institute's Research to Action news brief, and watch UC ANR Vice President Glenda Humiston's video. Even incorporating a few simple food waste prevention actions has great potential to reduce food waste in California. Your efforts to be a Food Waste Reduction Hero this week, and into the future, will make an impact. Thank you for helping to make a difference during this inaugural California Food Waste Prevention Week!